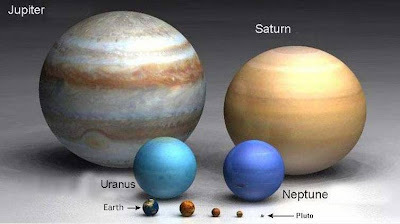 anyway, i always loved studying the planets--need to know for any science fiction reader--but have never seen their sizes demonstrated so clearly. and i have to say, i was astounded! when i was in school we were taught the mnemonic "my very educated mother just served us nine pickles" to learn them in order. 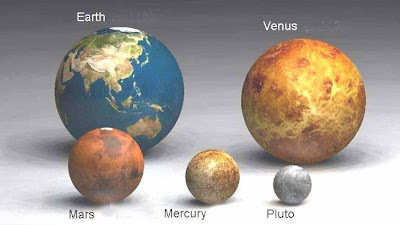 Mercury Venus Earth Mars Jupiter Saturn Uranus Neptune Pluto i've heard lots of variations and some totally different (and send 'em in if ya got 'em!) but to see them lined up like that really gives me pause. 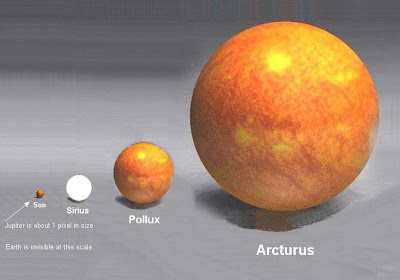 and then, of course, when you get out to the other suns...dude! ours is dinky! That's great. I've never seen that before. 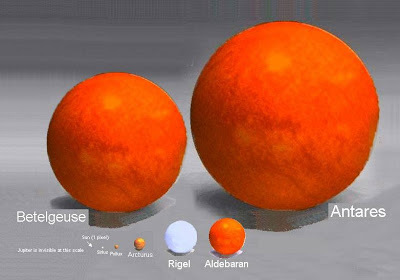 I have seen size comparisons that are similar. But, the 3-d models make it more real. Very cool. Space rocks. 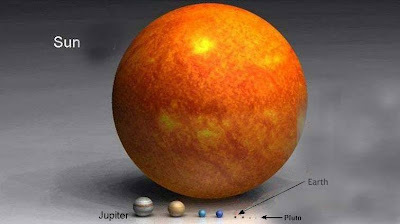 I'd seen the planet ones, but not the ones with the stars. Nice. And "Every Good Boy Deserves Fudge" is one I learned in school to help memorize the notes on the lines in written music (with the notes between the lines spelling FACE). Band geek, sorry. Even worse, clarinet... and Band Council President... and Math Team President, actually. Oof. Please Remember My Dear Aunt Sarah was the math one I heard, obviously I heard it wrong. Nice to now know why I never could figure out what the darn R was for.